One of the most central themes of Judaism and then Christianity is an ongoing hunger, a quest to understand God more deeply and completely. For over 3000 years, our spiritual ancestors have been working hard to figure out answers to life’s most important questions: What is good? What is real (often framed as what is God)? And how can we live in moral community with each other? Each generation of our ancestors received a package of handed down answers to these questions. This package contained the very best answers their ancestors had to these questions. But those answers were always imperfect. They had bits of timeless wisdom and insights, but they also had bits of culture and superstition that had somehow gotten God’s name on them. In order to grow, our ancestors took these received traditions and asked: What here is mere human construction, what is superstition, and what are my very best judgments about the divine realities that lie beyond the human piece? The first Hebrew scholars, the writers of the Torah or Pentateuch did this. They sifted through the earlier religions of the Akkadians and Sumerians. They kept parts (some of which are in the Bible to this day), and other parts they discarded as mere culture, superstition or even idolatry. In the New Testament, the same thing happened. In the gospels, Jesus says that the Law has become an idol in itself. What is an idol? An idol is a something man-made, something that seeks to represent or articulate god-ness and thus to provide a glimpse of that Ultimate Reality. But then, the object itself gets given the attributes of divinity: perfection and completeness, and it becomes the object of absolute devotion. Instead of simply accepting the old package of answers, the writers of the gospels offered a new understanding of God and goodness. They didn’t throw away everything; in fact they kept quite a bit from the earlier Hebrew religion and from the religions that surrounded them. But they took responsibility to sort through it. They gathered the pieces that that seemed truly wise and sacred to them, and they told a new story about our relationship to God and to each other. During the Protestant Reformation this process happened again in a very big way. Even thought Martin Luther and John Calvin had some horrible bigoted and violent ideas, in their own context, they genuinely were trying to cleanse Christianity of what they saw as accumulated superstitions, things like worshiping saints and relics, paying indulgences, the absolute authority of the Pope, and the church putting God’s name on the political structure that kept kings and nobles at the top with other people serving them. They scraped away these superstitions, until they got back to a set of religious agreements that had been made a long time before, in the 4th Century when the church decided what writings would go in the Bible and what the creeds would be. Then they stopped there, thinking they had found the most true understanding of God. But inquiry continued both outside of Christianity and inside. During the 18th and 19th Centuries, scientific learning mushroomed with discoveries in fields as diverse as linguistics, anthropology, psychiatry, physics, and biology. By the beginning of the 20th century, with all this new information about ourselves and the world around us, many Christian theologians said, “We need to rethink our understanding of the Bible, Jesus, and the Christian faith.” A new phase of Reformation was born. This generation decided that they should examine every bit of Christianity for signs of human fingerprints. They went way back and opened up even the agreements that had been made by those Church councils of the 4th century. the ones who decided what would be in the Bible. They even began looking at other religions with new eyes and seeing bits of wisdom there. When this happened, some people fought back in defense of the fundamental doctrines that had dominated Christianity for almost 1500 years, the doctrines that are laid out in the creeds: one god in three persons, original sin and universal sin, the virgin birth, the unique divinity of Jesus, cleansing of sin through blood sacrifice, salvation through right belief, a literal resurrection, a literal heaven and hell. A series of pamphlets entitled "The Fundamentals" said that these beliefs were absolute and off limits to questions. From the title of these pamphlets we get the word "fundamentalism." The fundamentalists said, “If you don’t believe these things, then you can’t call yourself a Christian and besides you are going to hell.” They said that their kind of Christianity was the most true because it was the closest to the religion of our ancestors. Now I affirm that the best way to honor the Christian tradition, to honor the writers of the Pentateuch, and the writers of the gospels and the reformers—and ultimately to honor the Ground of Love and Truth– is to do as they have done. We need to take the set of teachings they handed down to us, their very best efforts to answer life’s most important questions. Then, just like them, we need to continue examining those answers in light of what we know about ourselves and the world around us. For each of us this is a sacred responsibility and a sacred gift, the gift and responsibility of spiritual growth. It might seem like I have abandoned the path I was on, to love and serve God. But I haven’t. I am still on that very same path, only my understanding of God has grown deeper and wider. That is why the songs and preaching and churches that used to fit for me don’t fit any more. And, in fact, even the word “God” seems terribly humanoid and limiting as a term for the astounding Reality that spiritual and scientific inquiry allow us to glimpse. I am sorry that my changes have been hurtful and confusing. For a long time, I have known that the answers I had were not quite right. But I didn’t really know how to explain this whole process or how to articulate a better set of answers, so mostly what I talked about was the flaws in the old way of thinking. Now that I have a little better understanding of the journey, I wanted to express that understanding to you who have been upset or worried for me. 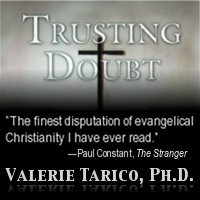 This entry was posted in Musings & Rants: Christianity. Bookmark the permalink. Peace be upon you ! The true faithful Muslim believes in the following principal articles of faith: Belief in one God (Allah), Supreme and Eternal, Infinite and Mighty, Merciful and Forgiving, the Creator and the Provider, He begets not, nor was He begotten, and there is none equal or comparable unto Him. Belief in all Messengers of Allah without any discrimination among them, as every known nation had a Warner or Messenger from Allah. They were chosen by Allah to teach humanity and deliver His Divine message. The Qur’aan mentions the names of many of them, and Muhammad (Peace be upon him) stands as the Last Messenger and the crowning glory of the foundation of prophethood. Belief in all original scriptures and revelations of Allah, accepting them as the guiding light that the messengers received to show their respective people the right path to Him. In the Qur’aan, special reference is made to the books of Abraham, Moses, David and Jesus (Peace be upon them all), but long before the revelation of the Qur’aan to Muhammad (peace be upon him) some of these books and revelations had been lost or corrupted. The only authentic and complete book of Allah in existence today is the Qur’aan, which has been preserved as it was revealed to Prophet Muhammad (Peace be upon him) in its pristine, pure form. Belief in the Angels of Allah , recognizing them as spiritually pure and splendid beings whose nature requires no food, drink or sleep. They are honored servants who are assigned certain functions, and spend their days and nights in the worship of Allah. They do not speak before Allah does, and they act only by His command. Belief in the Last Day and the Hereafter, acknowledging that this world will end someday, and that the dead will rise to stand for their final and fair trial. People with good records will be generously rewarded and warmly welcomed to the Heaven of Allah, and those with bad records will be punished and cast into Hell and none will be treated with injustice. Belief in Fate, whether good or bad, which Allah, measured and ordained for all creation according to His previous knowledge, and as deemed suitable by His wisdom. And in the timeless knowledge of Allah, and in His power to plan and execute His plans, nothing could happen in His Kingdom against His will. His knowledge and power which are always in action command over His creation. He is Wise and Merciful, and whatever he does must have a meaningful purpose. If this is established in our minds and hearts, we should accept with good faith all that He does, although we may fail to understand it fully, or think it is bad. Thanks, Valerie! This is an eloquent essay that reflects my own deep beliefs and the challenge that I’ve faced in speaking to my own family about my evolution of understanding. You’ve said it so well. God is so good! This is another day that the Lord has made, we should be glad and rejoice in it! Just out visiting and thought I’d stop by and say hello! Pray all is well with you and yours.